Why Are Prices Of Electronic Goods Increasing? Finance Minister Arun Jaitley, increased the import duty on electronic goods, in the Union Budget 2018-19. The main intention of doing this was to incentivize domestic value addition and boost the Government's Make in India programme. This measure will also help create more jobs in India. Customs duty on mobile phones was increased from 15% to 20%. Customs duty on some of the mobile phone accessories and parts was increased to 15% and on certain TV parts to 15%. This is the second time the import duty has been increased on imported mobile phones in the last three months. The rise in customs duty on imported mobile phones to 20%, has resulted in an increase in prices of mobile handsets made by Apple Inc, by an average of 3%. But, the price of iPhone SE has not been increased, as it is assembled in India. Increase in prices is effective from February 5th 2018. The price of the iPhone X 256 GB has increased by Rs 3,000-3200. It was Rs 1,05,720, but now it is Rs 1,08,930. 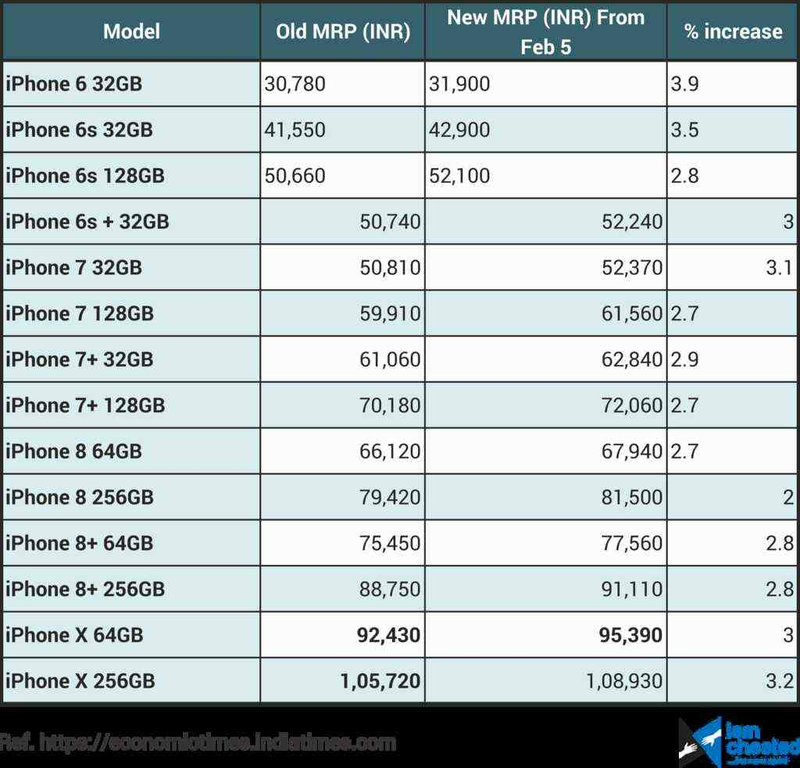 The prices of iPhone 6 and iPhone 6s has increased by Rs 1,100 and Rs 1,350 respectively. Customs duty on watches (wrist watches, wearable devices and smart watches), has increased to 20% from 10%. As the result, the price of Apple Watch Series 3 GPS 38mm will be Rs 32,380. This is 7.6% costlier than its older price.